I asked the talented team from Walt Disney Imagineering what in’spire’d the new exhibit for The Disney Gallery, opening June 30 at Disneyland park. Here’s what they had to share, and I couldn’t have said it better myself. As evidenced in Walt Disney’s classic feature films, every great story begins with a call to adventure, an invitation to embark on a momentous journey that can take you away from an old world of familiarity and thrust you into a new world of excitement. 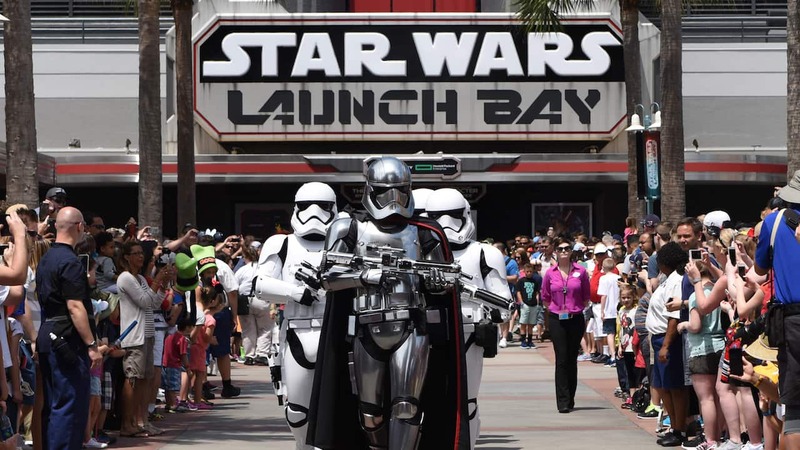 For most Disney Parks, castles have taken on the role of trumpeting that call. 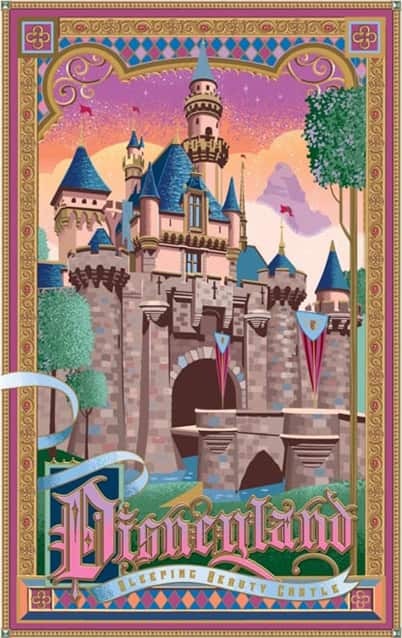 Walt built Sleeping Beauty Castle, here in Disneyland park, to serve as an iconic source of inspiration, meant to enchant guests into continuing onward, beyond the lively, small-town comfort of Main Street, U.S.A., toward wondrous gateways leading to imaginative new frontiers. Every other Disney castle, from Florida to Hong Kong, successfully followed in their predecessor’s regal footsteps. Just as Walt encouraged audiences to wish upon a star, the crowning achievements of the Disney kingdoms have become towering symbols of a dream come true, compelling guests around the world to follow their own dreams, both inside and outside the parks. Now, The Disney Gallery lowers its drawbridges to this royal retrospective on the art of the Disney castles so you can discover the inspiration and charm that helped bring these fantastic icons to life. This new exhibit, in all of its majestic grandeur, will also be home to an array of Disney-inspired artists, whose works certainly have the royal touch. Here’s your first look at some of these timeless pieces! 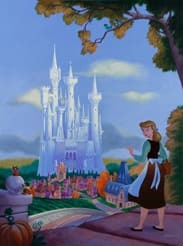 Event Tip: Visit www.ArtofDisneyParks.com for a complete list of artists scheduled to appear on June 30, from 9-11 a.m. Fit for a king and queen, this new exhibit is sure to dazzle you. I can’t wait to see it & purchase the perfect piece for my home. I’m working on making my walls Disneyland Art. One of the cast members told me it was coming while looking at the railroad exhibit & my face lit up. The castle is one of my favorite places/icons of Disneyland. This year when we came for Christmas, we showed up around 7:30 in the evening & as soon as I saw it all lit up, I just started crying at the spectacular site. Before that, seeing the Halloween time fireworks display, that was a view to behold & never forget. The Leap Day event, seeing the sun rise & set at the castle, perfect, just perfect. I make it a point to get my picture taken in front of the castle at several points of the day due to the sun. I guess it’s just one way my inner child gets to live out being a princess in a way. Which is great, considering you never really have to grow up at DLR. Are they going to be doing one for King Arthur’s Carousel? That would be fantastic artwork I would love to get my hands on too. Hi George! Make sure that you stop by The Disney Gallery during your family reunion visit, the Crowning Achievements exhibit is slated to run through early 2013. As for character dining offerings, I would recommend contacting our team at 714-781-DINE, but my personal favorite is Goofy’s Kitchen. We can’t wait to see it! 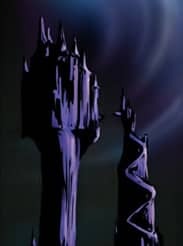 Love to see the new interpretations of the Disney castles and the originals works that inspired them. Always appreciate your posts Michelle. Thanks! Do you know when the current Railroads of the Disney Parks exhibit in the Disney Gallery is supposed to close? My family and I are planning a trip to Disneyland on June 15 and we’d love to see it at least once before it closes for this fantastic display! Andre, it sounds like your timing is perfect. The railroad exhibit is currently slated to close around June 27. How long will this exhibit run, because I will be visiting Disneyland Resort in August and don’t want to miss it??? It looks like a really interesting exhibit. Hey Lauren! Don’t worry, you won’t miss it. The Crowning Achievements exhibit is scheduled to run through early next year. Do you know how long this exhibit will last? John, the Crowning Achievements exhibit is slated to run through early next year. I have a Herb Ryman poster from the late 90s that had all of the Castles at that time sketched on one sheet. It’s still my favorite poster. Disneyland, Magic Kingdom at WDW, Disneyland Paris, and Tokyo Disneyland are all depicted. Beautiful. Gee, it would be great if the Art of Disney Parks web site actually had that list of artists you mentioned—or any info on the new exhibit and event. Hi Carrie! 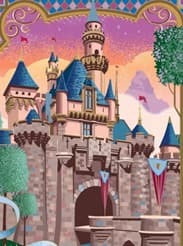 The ArtofDisneyParks.com will be updated shortly with all of the information, including a list of the artists who will be on hand for the signing. So keep watching.